Italy’s financial markets and services regulator CONSOB (Commissione Nazionale per le Società e la Borsa) has issued a warning that the offshore forex broker CFD Royal is not licensed to provide services in Italy. Commissione Nazionale per le Società e la Borsa (CONSOB; Italian Companies and Exchange Commission) is the government authority of Italy responsible for regulating the Italian securities market. This includes the regulation of the Italian stock exchange, the Borsa Italiana. The broker operates on the website cfdroyal.com and offers forex and CFD trading. 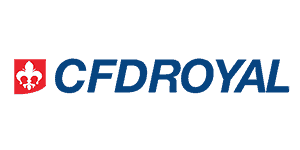 The brokerage CFD Royal is owned by the United Limited – an offshore company registered on the Marshall Islands. Besides the address on the Marshall Islands, there is one more address claims that the main office is on the St. Vincent & The Grenadines. Too many offshore locations and no proper regulation to be able to target European residents. Judging by the language options, the broker is mainly targeting Italian- and Spanish-speaking clients. Also, all the phone numbers provided on the website have British country code, although the locations are offshore. This looks even more confusing and should be enough for serious traders to avoid dealing with the broker. In Italy, as in any other EU Member State, financial intermediaries, including forex brokers, are not allowed to operate without proper authorization either from the local authorities or from any financial regulator of another EU country. When engaging with brokers that do not operate on the grounds of a valid license, issued from a trustworthy authority, traders are putting their investments at higher risk. You can read our review on this broker here.